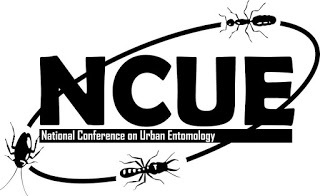 The biannual National Conference on Urban Entomology (NCUE) is always a treat. It’s a relatively small conference with a personal feel. Many attendees know each other personally, and new students get to learn more about urban entomology outside their labs and classrooms. This year’s meeting in Raleigh, NC attracted about 200 students, university faculty and industry urban entomologists, including a score of researchers from the joint invasive pest ant conference.